In this piece, we break down the difference between data management and secondary storage. 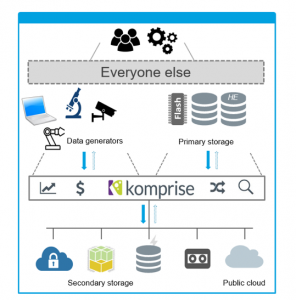 This is necessary to understand the importance of what Komprise presented at Storage Field Day. Their software solution provides data management to make data visible, save space, and manage your data in a way that enables the data, instead of just storing it. Commvault has a long legacy for an enterprise IT company, but their GO conference still has that new car smell. Commvault GO 2017 will be their second annual conference, this year moving up from Orlando to Washington, DC. The company has an interesting slate of sessions and speakers lined up for this year.